An end-product of the distillation of Lavender essential oil. Used for making facial masks, lotions, creams and other cosmetics, room sprays, as a toner. Suitable for mildly blemished skin. 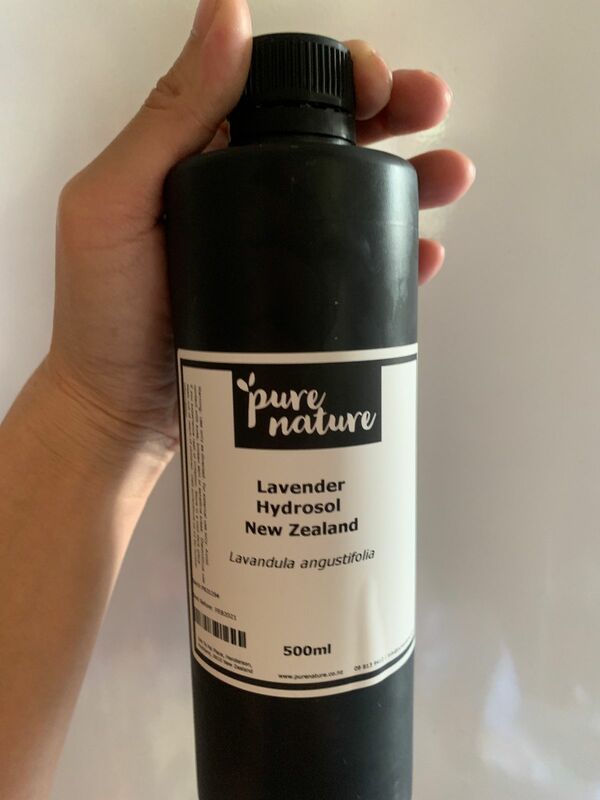 This hydrosol is produced here in New Zealand during the distillation of the "Avice Hill' variety of Lavender, a cultivar renowned for it's low allergen content. Contains <0.1% Gluconolactone & Sodium Benzoate as preservative. Marnie G. Reviewed by Marnie G.
Great fresh smell, great price. I bought this to use both at home and in my massage practice, it has a stronger, more pleasant smell than previous ones I have used. Wendy Y. Reviewed by Wendy Y. This hydrosol has a lovely lavender scent and showed up a pH reading of 5, which makes it very easy for me to use it straight away. This hydrosol has a lovely subtle scent. 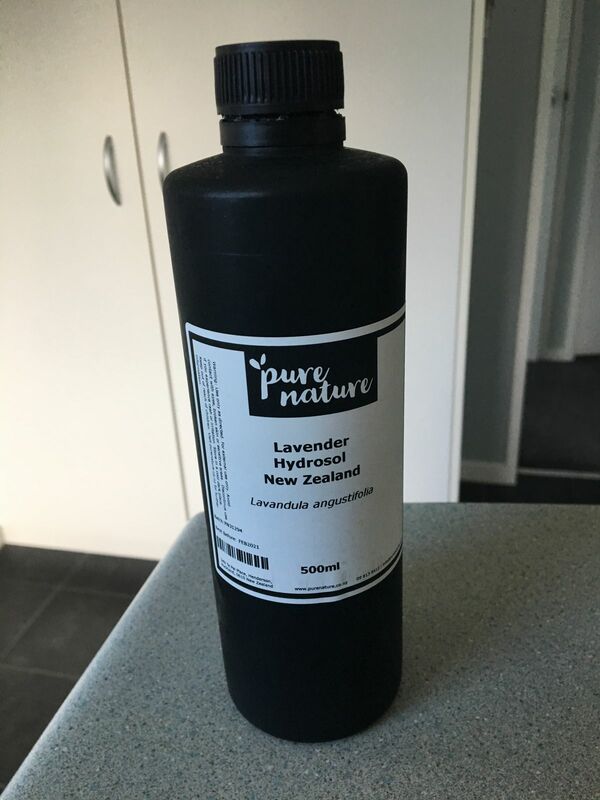 I purchased it as an ingredient for a hand cream and have also been using it on its own as a toner this summer - leaves my skin refreshed and hydrated. I use this as a toner and it is FANTASTIC! So much better than spending $10 on a tiny bottle of normal toner!